#GivingTuesday is a global movement. Millions of people have come together to support and champion the causes they believe in and the communities in which they live. We have two days for getting deals – Black Friday and Cyber Monday. On#GivingTuesday, we have a day for giving back. Together, people are creating a new ritual for our annual calendar. #GivingTuesday is the opening day of the giving season. We have 5 ways to act now! 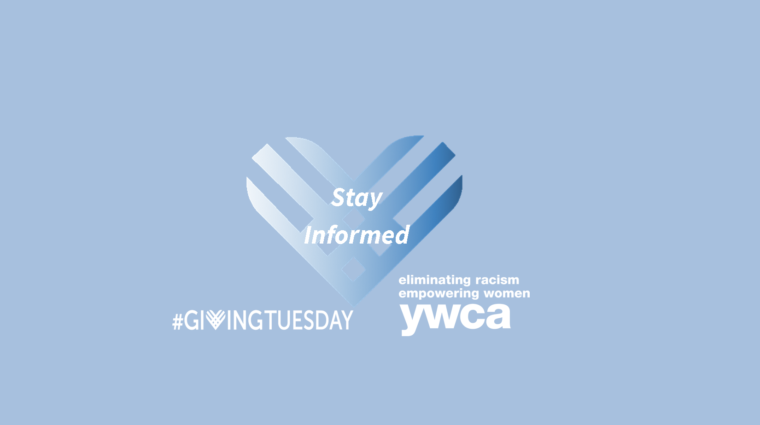 The YWCA works on the ground in Wausau and surrounding areas to improve women’s lives and create change in 3 key areas: racial justice and civil rights, empowerment and economic advancement, and health and safety. YWCA’s work isn’t possible without its network of employees, partners, leaders, and volunteers, and with support from the community and everyday people.